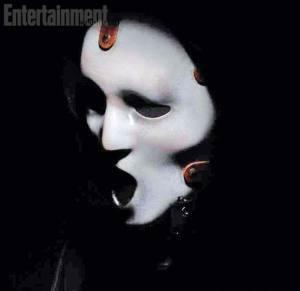 We know that Scream: The TV Series lost the iconic ghost face mask of the film series in favor of something else. EW has unveiled a first look photo of the new mask which has roots in not just the original but other serial killer masks like Jason Voorhes’ and Michael Myers’. “The new mask is cool and scary and takes the series into a new direction. It also ties into the story, which I won’t give away.” says director Wes Craven. What do you guys think? Do you like it? 007 New Movie “Spectre” Trailer Here! “Batman v Superman: Dawn of Justice” Trailer Here!